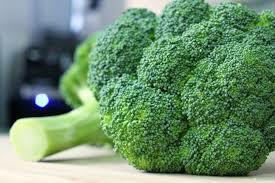 Broccoli is a great side dish, and it is in season right now, so it is fresh, local, and readily available! Here is a simple recipe to spice up your steamed side of broccoli. Take a small frying pan, turn on medium-high heat. Add water so it covers the bottom of the pan (0.5cm-1cm). Add the garlic and spice(s). Wait for water to come to a boil. Add broccoli, and turn down heat to medium. Keep stirring broccoli, and continue to add water as needed until broccoli is cooked to your liking. Salt and pepper to taste. This entry was posted in Broccoli, Garlic, Recipes and tagged Broccoli. Bookmark the permalink.